Let's face it - you're unlikely to ever travel the world sideways as a Flight Engineer. However, in today's highly competitive job market, showing a potential employer a good score on a Flight Engineer written test can set you apart from the rest. In fact, because the FAA Flight Engineer written exams are a good way to assess your systems knowledge and reasoning, many airlines demand it. You can quickly study for your FE written test with our GroundSchool software. You don't need waste money or a weekend on some $250+ Flight Engineer cram courses that effectively just sticks you front of a machine (or an instructor doing his best to mimic one). 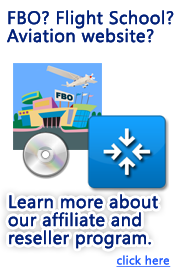 Our software is much less expensive, features the same actual FAA questions, and has been proven to work for thousands of pilots. How does this software compare to expensive written test preps by AllATPs and similar organizations? Our GroundSchool software costs about the same as a book, but is much more time efficient. We've had people report scores of 100% after just a few evenings of using our software. Unlike books and other materials, our software updates itself using the built-in self update feature. You can always have the latest and greatest available study material from us at no extra charge. Yes, you study here using up-to-date, actual FAA questions. Answers and Explanations have been written by highly experienced flight instructors and professional pilots. All required charts and figures included. This software can be used to prepare for all of the FAA Flight Engineer knowledge tests (reciprocating, turboprop, and turbojet).